iCrossing is looking for an SEO Manager. If you meet the requirements below, you will be eligible to apply via Digital Marketing Community. Create enterprise level SEO strategies for clients to deliver against client objectives. Build and brief a pipeline of SEO tasks to develop an account with fresh ideas and thinking. Lead client meetings and calls as the SEO lead on the account. Keep up to date with search news and sharing opinions on industry developments within the team and with clients. Mentor analysts to ensure that they develop a wealth of experience within (SEO and Search). Provide top-level insights to clients on current performance and areas to grow in the future. Lead and manage a virtual team within iCrossing to develop a niche area of search, including the creation of new processes, templates and deliverables as well as best practice. Galvanize the search team with your prior knowledge, fresh thoughts and enthusiasm. Manage the up-selling of existing clients with additional services and solutions. Work on-site with clients to assist in building trust and relationships with the SEO managers client side. Collaborate with a PPC counterpart either internally or at a third-party agency to drive total search results for our clients. Minimum 2 years of working experience in the same role. Proficient experience with technical optimization, content optimization, link management, data analysis and SEO tools. Expert understanding of many different third-party SEO tools and analytics packages. Advanced knowledge of keyword research techniques such as question-based searches, semantic search and search beyond just conversion point queries. Deep working experience with (Google Analytics, Google Keyword Planner and Webmaster tools). Ability to create industry leading SEO strategies for clients. Ability to mentor, assist and develop the analysts within the team. 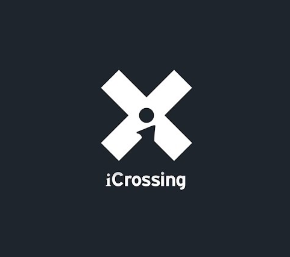 iCrossing is a global digital marketing agency combines proprietary technology with top talent to build connected brands that deliver results.